I welcome any wholesale inquiries about my wreaths, garland and bows. For minimums, terms and wholesale pricing, please contact us or call me at 603-636-6122 or 603-620-6273 for easy access to wholesale pricing on my website. Mail Order Garland has become a very large part of my business. Our garland is made of the freshest, highest quality greens. It is thick and full as you can see from the photos, and is well constructed, and shipped fresh made. We know you'll love it and so will your guests! I offer 8 different kinds of Garland as well as my new 'Estate Roping'. It is a much thicker heavier version of my already beautiful garland. As the name implies it is the more proportionate fit for the large rambling old home or modern estates, or the horse barn for that matter! I am happy to retail my beautiful bows. The minimum order for retail mail order bows is one dozen (or whatever a box holds for some of the Collections) since they are already packaged and ready to ship. 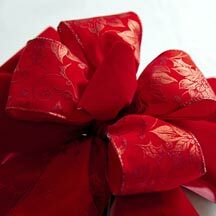 I have many assortments, sets and collections that would give the retail buyer a variety within the dozen - or you can order a dozen of any of my Bows By The Dozen to coordinate your decorating. You may fill out our contact form and we will be in contact with you shortly. Or you can call or email us at your convenience. We will take your order and shipping information by phone or e-mail. Please don't forget to INCLUDE YOUR PHONE NUMBER if you email so that I may contact you if needed. Your personal information is well protected and will never be shared in any way by anyone for any reason. I will confirm your order as soon as I receive payment by check or credit card. Mail Order Wreaths and Garland ship the first, second or third weeks in December early in the week to avoid weekend delays. Mail Order Wreath pricing includes shipping. 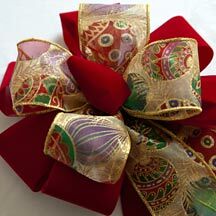 Shipping for Mail Order Garland will be priced individually. 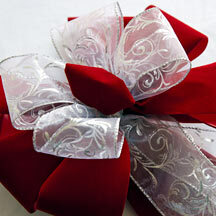 Bows are shipped promptly as available from my well-stocked warehouse. 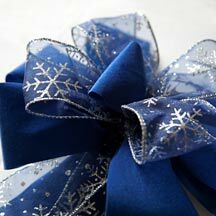 Retail Bow Prices posted do not include shipping & handling. I work hard to keep both shipping and handling costs down. All items are well packed and shipped in sturdy re-usable, recyclable boxes. Please remember to include your phone number with your order in case of any need for clarification.